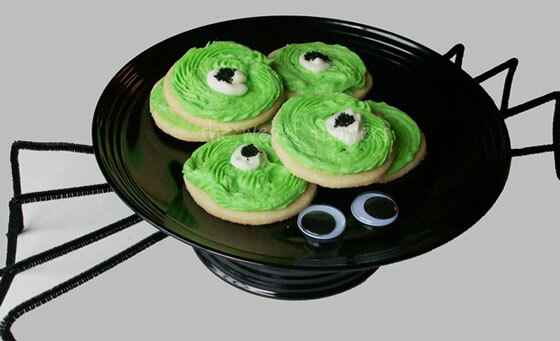 With the Halloween approaching, are you ready for some pumpkins, witches, and ghosts? 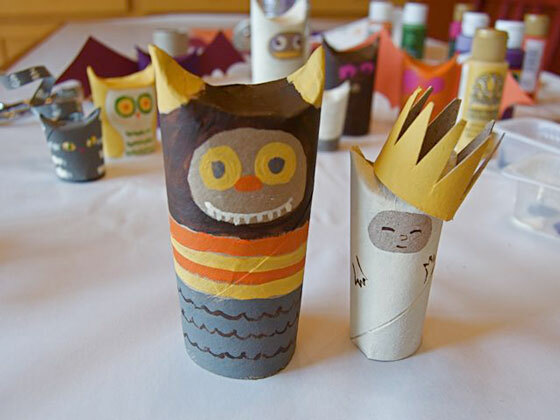 Pumpkin carving isn’t the only craft we can do, there are so many spooktacular things to make and do. 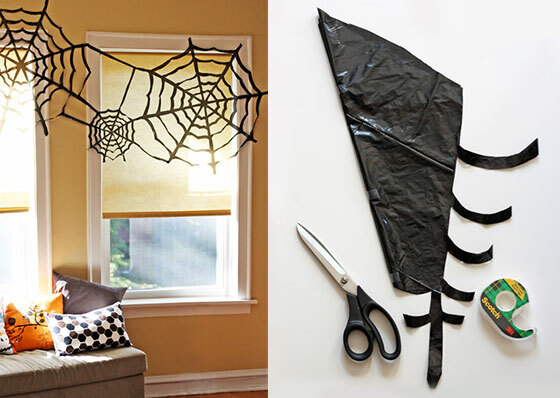 Here we prepare 8 Cool yet Simple Halloween DIY Crafts, they are not only cool but also easy to make. Perfect for those who want to do some DIY work but don’t have to much time. Pumpkin carving is some kind of routine for Halloween. 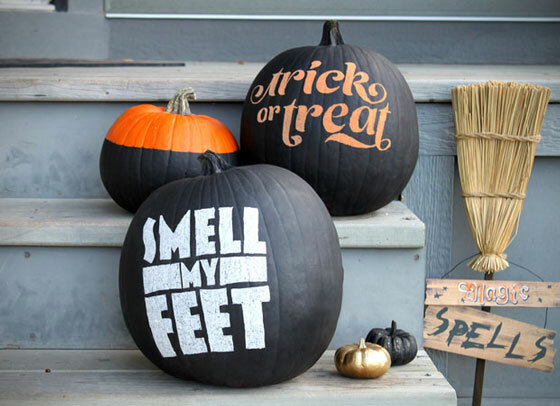 But if you want to do something different to our beloved pumpkin and avoid all those carving mess, chalkboard pumpkins deserve to make this years bucket list. Here is the DIY tutorial and enjoy your dressed up pumpkin without any carving work. It is also fun to dress up your kids during Halloween. Of course, you can buy those clothing and accessories. But will that be more fun to make them by yourself. 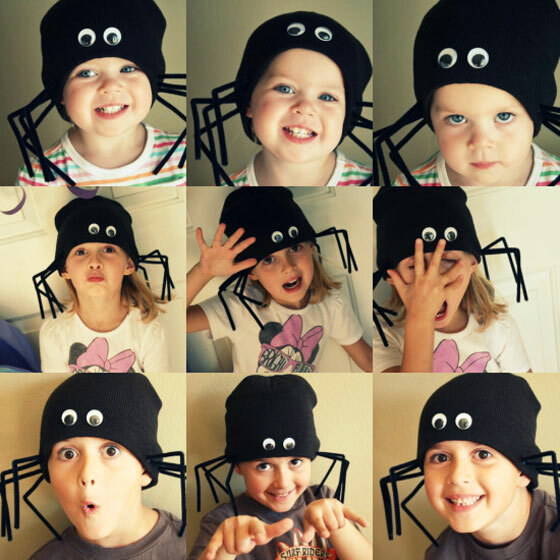 Here are the instruction of how to make ghost and spider hat. 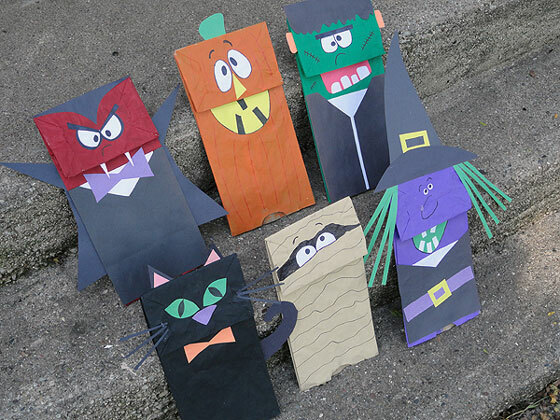 They are very simple to make and provide lots of fun for those spooky kids of yours to wear! 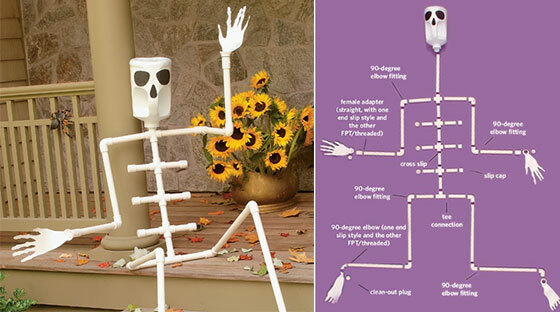 You can build this super cool skeleton made from plastic pipes and jugs. It is easy to pose on a porch swing or step, where he can greet, and delight, trick-or-treat. Another good part of it is it can be easily take apart and stored after the holiday. 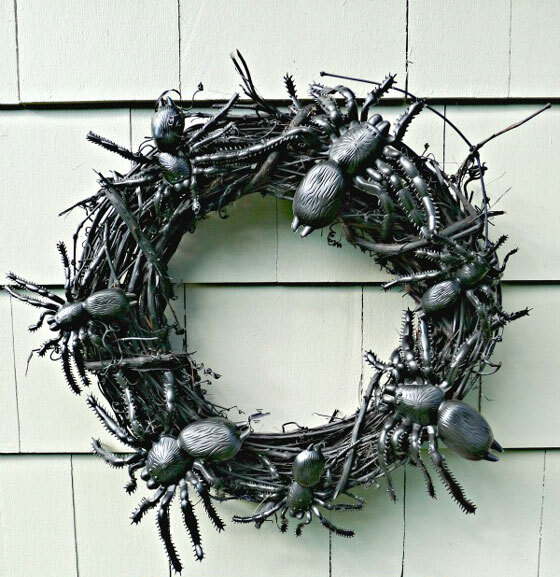 Want below Spooky Spider Wreath on your door? You need to have a grapevine wreath, black spay and some giant rubber spider from dollar store. The make-over step is pretty simple, spray the wreath and tie the spider on the wreath. Then you can enjoy the screaming outside your door. Here is the tutorial.